Look, we all know that engagement rings are platinum, with diamonds, right? Well, yes and no. They can be, of course, but you actually have countless combinations of both metal and gemstone available to you. It’s no accident that platinum/diamond engagement rings are the ones that make it into all the ads we see almost daily. Not only do they work beautifully together, but they are also usually the most profitable for those trying to sell their wares. But such engagement rings aren’t the only ones to look stunning. The choice of a gemstone is largely a very personal one, but the metal choice can be a mixture of preference and practicality. This guide will hopefully shed some light on the often misunderstood, or certainly underappreciated, choices of metal for an engagement ring. Which Metals Can Be Used In An Engagement Ring? In theory, any metal can be used. Away from what we would consider “normal” artisans have, for millennia, used everything from tin to steel to copper to bronze, and through to the metals we see in use today. 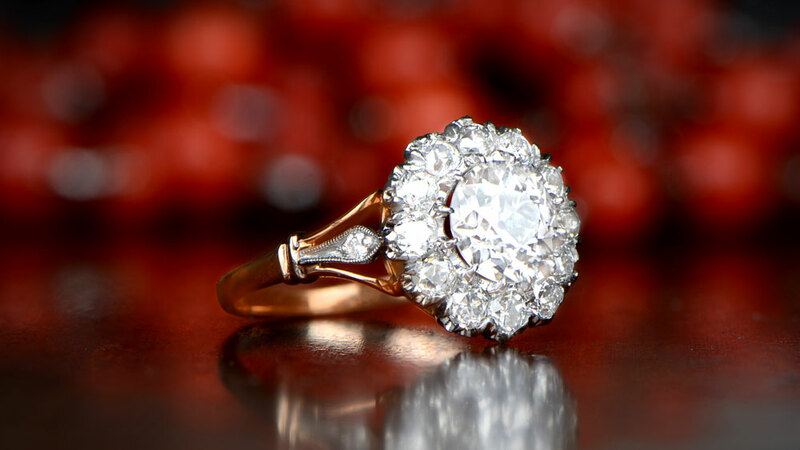 For the last century or so, engagement rings have tended to center around a much smaller group of precious metals. In the main, the most common would be platinum or gold, with silver as an alternative. For gold, it isn’t just yellow gold which we see in engagement rings. White gold is actually more common than yellow, with even rose gold making significant progress in the popularity stakes in recent times. All this leads to the question of which is best? In truth, there is no “best” in the sense of it being some sort of Pepsi or Coke taste test. In reality, all have advantages and disadvantages. What makes it a little more complicated is that what might be an advantage for one person may be a disadvantage for another. It also might not be so simple as just basing your choice on the appearance of the metal. The classic diamond engagement ring metal. Platinum has an awful lot going for it as the ideal metal for an engagement ring. It is particularly suited to diamonds, and this is why it has become the most popular choice. As well as being a very nice metal anyway, platinum often improves over time. Whereas some other metals are likely as not to require expert maintenance to maintain their good looks, platinum is less susceptible to aging badly. When new, platinum has a bright luster appearance. It isn’t reflective, in the way silver might be, but isn’t dull like you might find in something with a “brushed” finish. The actual appearance is somewhere in between but does change over time. 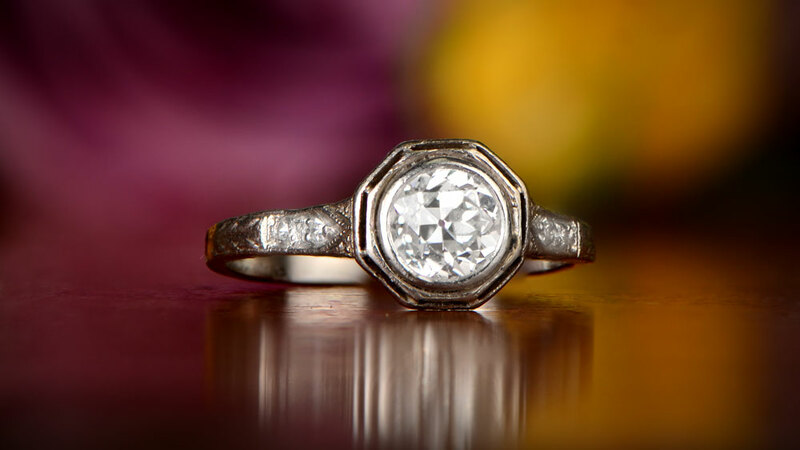 If you look at antique platinum engagement rings, you will see that the platinum has much more of an actual luster to it, with the bright “newness” no longer obvious. This patina effect is in no way to the detriment of the ring. In fact, it is very desirable for platinum rings, as it helps to promote the appearance of the set diamond even more. Platinum is also a very durable metal, far more so than pure gold or silver. Although not immune from scratching or becoming misshapen, it is tough enough for everyday wear. Despite this, it is also easy to work with so designers and manufacturers don’t see its increased hardness as an issue. Most advanced jewelers will only agree to handcraft complicated jewelry using platinum. For us, as buyers, it does seem like platinum is the only sensible option, but there are some things to think about. Platinum, without any question, is more expensive than gold or silver. Even though gold is more expensive per ounce, the high density of platinum means the setting is much heavier than it would be in gold. Platinum is also not suited to all gemstones. It isn’t suitable, even, for all diamonds. Because of its inherently bright appearance, diamonds with even a hint of color can be left looking a little exposed in a platinum setting. Any colorless or near-colorless diamond is absolutely fine. In fact, as far as J color on the grading scale, any diamond will look amazing in a platinum setting. Beyond this, though, any color starts to look obvious even to the naked eye and is probably best avoided. By definition, the necessity for “better” diamonds coupled with using platinum makes engagement rings more expensive. Using silver in engagement rings is not as common as once was the case. Although a precious metal, silver is actually pretty abundant in comparison to other metals. We tend to see find silver used in engagement rings that have particularly intricate designs. Fine silver is extremely workable for designers and is a popular choice. We use the term fine silver to describe pure silver. Or 99.9% pure actually. A more common type of silver is sterling silver. Sterling silver is still a pretty pure grade of silver. It is 92.5% silver and 7.5% copper. The copper is added to improve the resistance to wear and tear of the fine silver base. Fine silver is actually just as soft as pure, 24K gold, and suffers the same thinning or distortion, even in normal everyday use. Although not technically classed as hypoallergenic, silver is as good as it gets in precious metals. There is a slight risk with sterling silver, as copper is not hypoallergenic. However, the small quantity contained doesn’t usually cause problems. Silver is also anti-microbial, so it harbors fewer germs and bacteria than many objects. Some claim that wearing silver is a boost to health, but no studies exist which confirm this conclusively. Silver is about 1/90th the price of platinum, and 1/60th the price of gold. It doesn’t take a Harvard scholar to realize that this makes it a very good option for those on a budget. Although slightly different in appearance to platinum, a quick glance probably wouldn’t expose the difference. Silver also maintains it’s brightness if cleaned regularly. The beautiful patina (which increases the luster on platinum) doesn’t occur with silver. Silver needs the same gemstone considerations as platinum, especially for setting diamonds. Colorless stones look wonderful, but diamonds with obvious color can be a hit or miss. 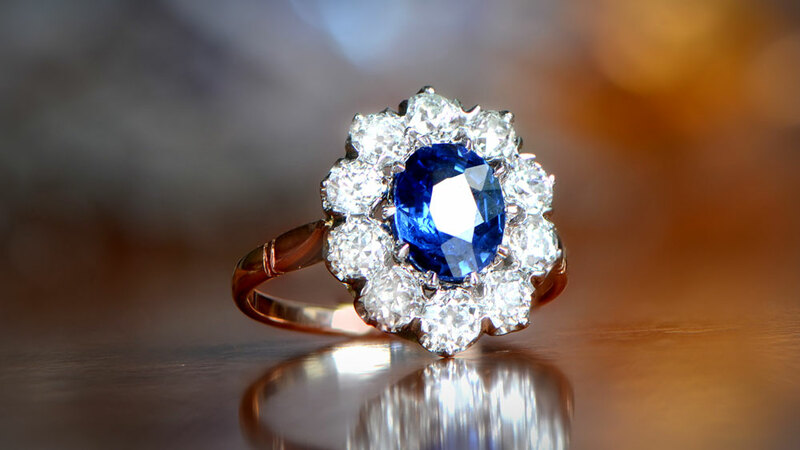 True colored stones, such as sapphires or rubies work with silver very well. The biggest problem with the sterling silver used in most jewelry, including engagement rings, is tarnishing. If jewelry is worn regularly, tarnishing will occur much more slowly. But, regardless, over time, unless properly cleaned, the effect is almost inevitable. But home cleaning doesn’t necessarily make tarnishing the non-issue you might hope for. Unless cleaning is done very carefully and very properly, the hard to get to places will still tarnish slowly. 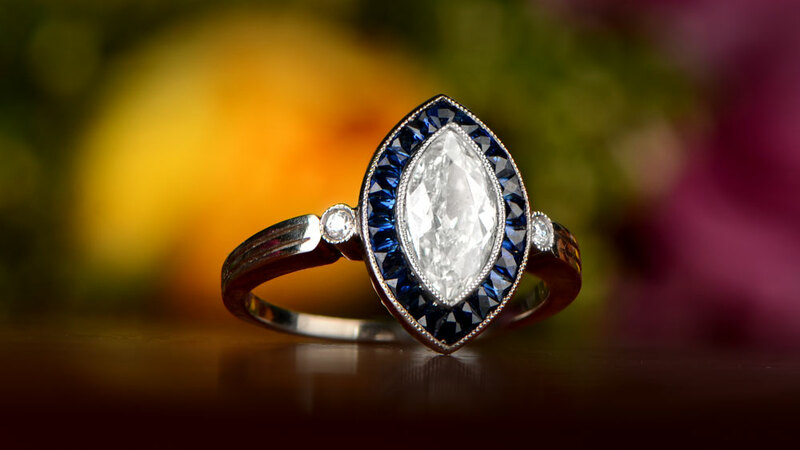 Over an extended period of time, this leads to silver engagement rings having a dark edge in some areas. Some people like the extra definition this can bring in some intricate designs, others hate it. It’s not inevitable, but it is a real possibility. Professional cleaning is the only way to make sure silver engagement rings stay as close to “as-new” as possible. Gold is still probably the most desirable precious metal we have. Not only does it make or break global economies, but it also makes for beautiful engagement rings. Although largely surpassed by platinum, especially in diamond rings, over the past 100 years, yellow gold is still a big hit for designers and buyers alike. In fact, if you look at Italian engagement ring designers, particularly the likes of Buccellati, yellow gold is still the go-to metal for many. In its pure, 24K form, yellow gold is soft enough to leave impressions if you take a bite. For this reason, it is unusual to see pure gold used in jewelry today. Instead, 18K is the most desirable purity level we see in rings. This is about 75% pure and forms an alloy with other metals such as zinc, palladium and, in certain circumstances, copper. By using 18K gold, durability is hugely increased, and longevity much greater. Yellow gold has long been a symbol of wealth and prosperity. It has existed in jewelry for as long as people have worn it. It is a great metal to use with diamonds which have an element of visible color. Such diamonds will usually have a yellow tint that would be undesirable in platinum or silver rings. 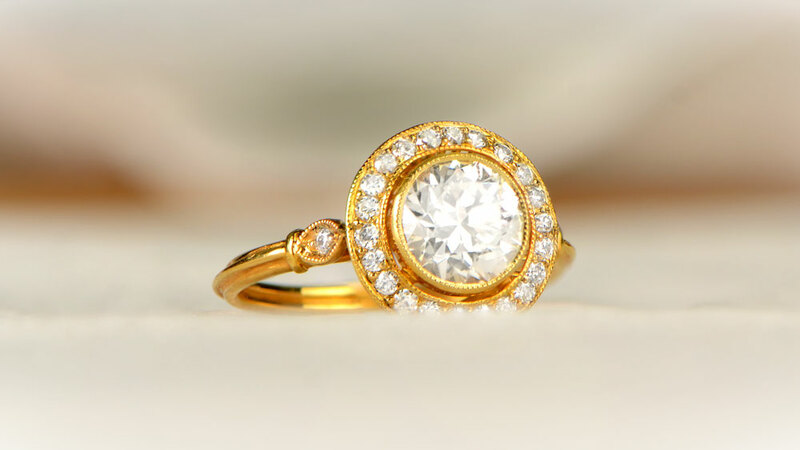 In yellow gold, though, the warmth of the diamond is maximized and creates a very nice overall appearance. Yellow gold is also very well suited to the use of rubies, sapphires, and emeralds for similar reasons. The contrast of gold and colored gemstone can be spectacular. Although high in price, the use of alloys to create 14K or 18K gold reduces the overall cost. The change in color from pure gold to alloy is very slight, so there is no deterioration in appearance. This makes yellow gold an excellent choice for those with tighter budgets. 14K gold ostensibly looks identical to 24K gold, making it an easy way to get maximum premium looks for less money. Although 14K is used in 95% of all yellow gold jewelry, in some instances with more expensive rings, 18K gold will be used. By this point, though, there is an increased risk that the softness of the gold will become a long-term issue for the setting. If the gold wears sufficiently, even without the risk of thinning of the band, the setting itself could allow the stone to loosen. Maintenance wise, it is amongst the easiest of metals to clean. Most yellow gold engagement rings can be easily cleaned at home, without the need for a jeweler. White gold is not a natural material in the true sense. It is, in fact, yellow gold that forms an alloy with other metals to get the “white” color. Other metals used may include platinum, palladium or even silver. These all reduce the yellow appearance of the gold but do not remove it completely. To complete the transition to white gold, makers apply a rhodium plating to the engagement ring. Rhodium is a precious metal in its own right and is related to platinum. It is actually much rarer and more expensive than platinum. However, because the electroplating uses only a very thin layer of rhodium, the cost isn’t prohibitive. For many years, the white gold alloy contains nickel. Some countries have since banned the use of nickel in jewelry due to the skin problems it can cause. Even without an outright ban, most manufacturers now look to avoid the use of nickel altogether. White gold actually has a lot going for it. It looks similar to platinum, for a lot less money. It is pretty hard wearing, thanks to the metals in the alloy, and it suits lots of different gemstones. But those advantages do come at a cost elsewhere. The rhodium plating on white gold is not particularly durable. For rings, which see a lot of contact when worn every day, the plating can wear off quickly. It can be as little as two years before the yellow gold alloy underneath starts to show through. Re-plating isn’t expensive and is a quick and easy job for many jewelers. It is, though a consideration for the wearer of any white gold ring. You will also need to make sure that the ring really doesn’t contain any nickel. Nickel causes a form of contact dermatitis on some people, and you should buy rings containing it with caution. Even if you don’t believe you are allergic to nickel, you should think long term. 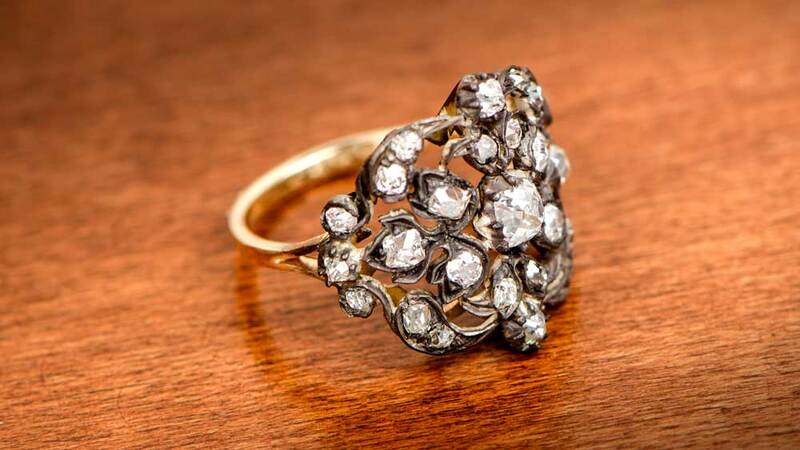 Engagement rings are wonderful things to pass down through generations. Whilst you may not be allergic to nickel, whose to say your daughter or granddaughter won’t be? Another variation of gold is rose gold. It has long been a popular and alternative choice for earrings, necklaces and fashion rings. It is now, though, becoming increasingly popular in engagement rings. Rose gold is relatively inexpensive and provides a very different appearance which is both attractive and eye-catching. Rose gold is actually quite a simple creation. The yellow gold content in 14K gold, for example, remains constant whatever the actual alloy components. Whereas white gold uses palladium or silver, rose gold uses copper to achieve its final color. Because we’re not looking for a colorless or white metal, the pink hue the copper creates requires no further treatment. Occasionally, to temper the pink a little, the alloy will contain silver to lighten the shade. Rose gold interest boomed a few years ago when the tech company Apple started to release rose gold versions of their iPhone range. Interest in the finish grew quickly and, suddenly, a niche jewelry color became very mainstream. As undoubtedly pretty as rose gold is, it often struggles to achieve the appreciation levels of other metals. Not because of the color, which everyone loves, but because of the snobbery which can sometimes be involved in the jewelry world. Some experts see rose gold as “cheap”, partly due to its association with consumer products, and this influences the public perception of it. That shouldn’t put you off, if you like the idea of a rose gold engagement ring, of course. At the end of the day, it’s your ring and your choice. 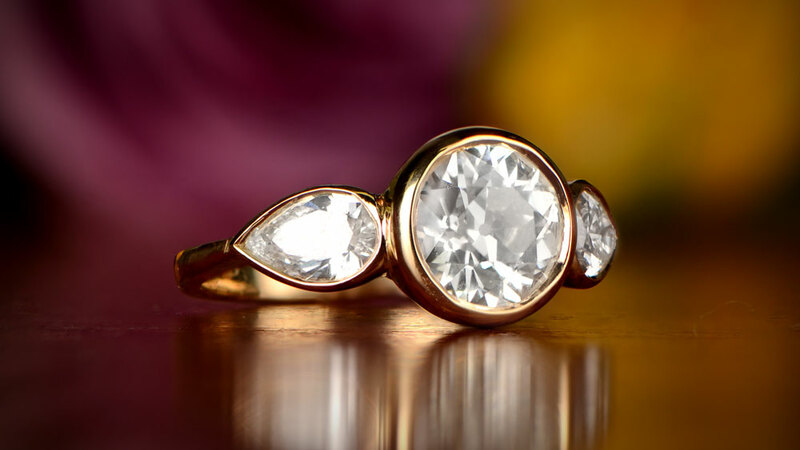 You also need to be a little more careful with rose gold in an engagement ring as to your choice of stone. Almost all colored stones look great in rose gold, particularly those in the red spectrum themselves. 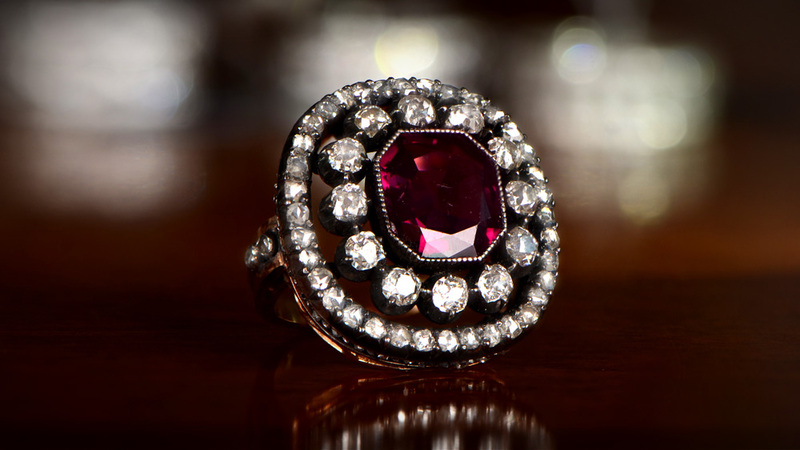 Rubies, pink sapphires or garnet, for example, look stunning in rose gold. Diamonds look great, but usually when accompanied by pink or red stones to create a halo. Rose gold also might not be as hypoallergenic as other metals. Copper, although not a high-risk metal for skin issues, can occasionally cause problems. For that reason, more rose gold rings are now starting to appear with 18K gold. This reduces the amount of copper in the alloy. It also, though, changes the color. At 18K gold, the color will be a pale pink. At 14K, it will be a much richer color. The variety of metals available for your engagement rings gives you lots of choices. 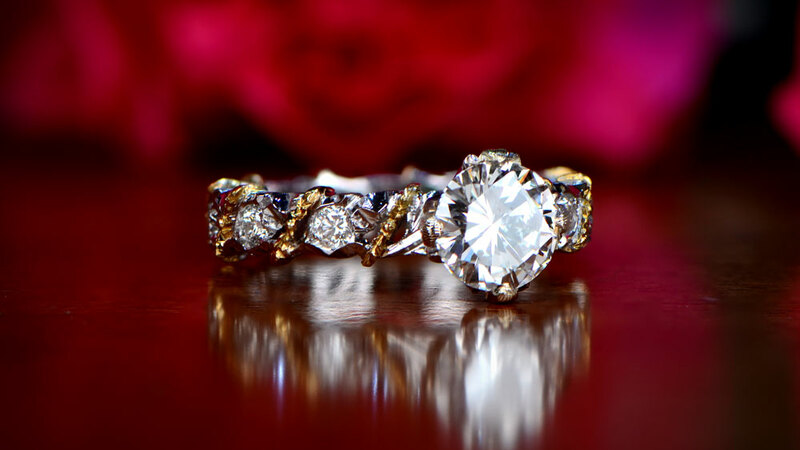 Yellow gold is a classic choice, and platinum brings a real feeling of class and elegance to the ring. Silver and white gold are alternatives for lower budgets, and rose gold is a fine choice for both its look and its value. Always check, if you go for anything other than platinum, that nickel is not present in the alloy. If it is, you might suffer a reaction, and returning the ring is probably not an option at that point. Also, if choosing white gold, ask if the ring has rhodium plating. Although it is almost certain it will, some makers only add the plating if asked. 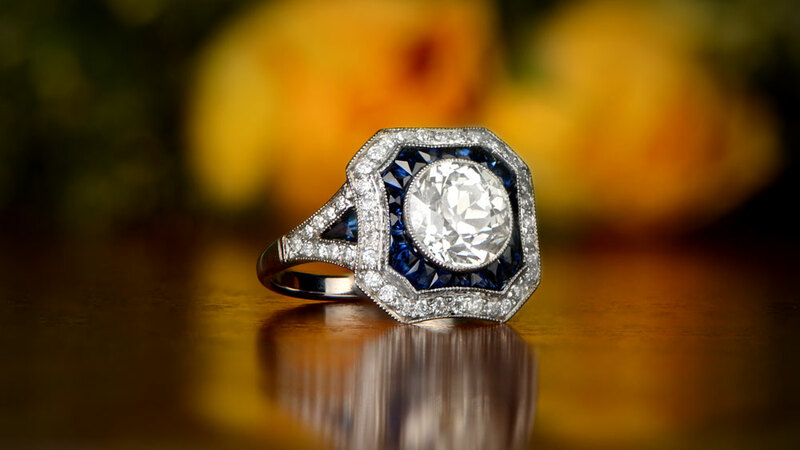 If you are a lover of antique or vintage engagement rings, then platinum is by far your best choice. Other metals probably won’t have survived the many decades in between manufacture and the present day half as well as platinum will have done. It will also help to preserve the beauty of the ring going forward. A couple of fun facts to wow your friends with. Did you know that Paul Revere was a master silversmith, and considered amongst the greatest of his time? The currency used in England, Pound Sterling, got its name because it is it is based on the equivalent weight in silver. And one small practical snippet of knowledge is that silver doesn’t really tarnish. Well, it does, but really slowly. When you have silver ornaments or cutlery which ends up badly tarnished, the reason is the copper in the sterling silver used to make them.